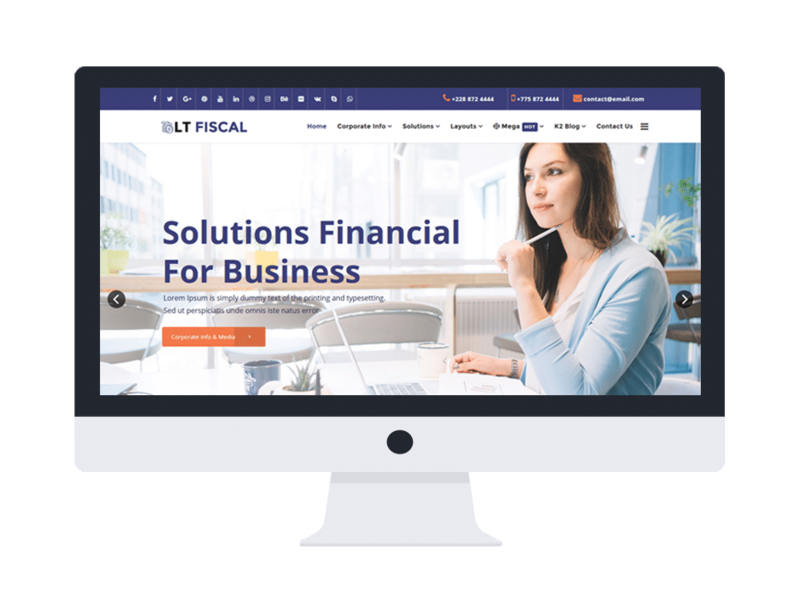 LT Fiscal is a fully Responsive Joomla Finance template that is appropriate for any kinds of financial website, such as financial advisors, loan company, banks, etc. This theme comes with an impressive look, based on the powerful Helix Ultimate framework, all the content on your site will be displayed in an eye-catching way and smoothly. Besides, the SP Page Builder along with 8 available preset colors, contact form, Google Map, as well as multi-language is also supported, LT Fiscal will be a great option for opening your successful financial website. Moreover, attracting more mobile users is a good idea as well when this theme supports 100% responsive layout. Never miss this amazing theme out of your hand, get it now!